As the restaurant supply superstore, we take pride in carrying every different spice imaginable for restaurants including salt. Salt is used in just about every restaurant dish on earth, so make sure you keep a good supply of salt from cargille. Salt is a universal spice used not only for taste but to keep food from going bad. Salt lowers the freezing point of liquids as well as raising the boiling point of liquids. Cargill Pretzel M Salt 25 Lb. Cargill Diamond Crystal Fine Kosher Salt 4 Lb. Cargill Diamond Crystal Granulated Plain Salt 25 Lb. Cargill Top Flo Plain Salt 50 Lb. 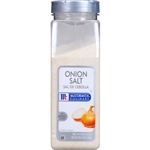 Cargill Diamond Crystal Table Plain Pickling Salt 4 Lb. Cargill High Grade Non Iodized Salt 50 Lb. Cargill Alberger Shur-Flo Fine Flake Non Iodized Salt 50 Lb. Cargill High Grade Granulated Iodized Salt 25 Lb. Cargill Diamond Crystal Coarse Kosher Salt 3 Lb. 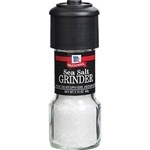 McCormick Sea Salt Grinder Seasoning 2.12 oz. 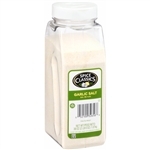 Nu Salt Shaker Substitute - 3 Oz. Master Chefs Choice Seasoning Salt - 35 Oz. Seasoned Salt - 36 Oz. 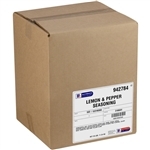 Seasoning Salt - 9 Lb. Water Conditioning Salt Pellets - 40 Lb. 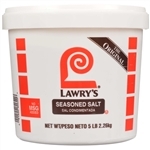 Seasoning Lawrys Salt - 4 Oz. Hi-Grade Iodized Salt - 50 lb. 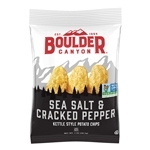 No Salt Salt Altnative - 11 Oz. Cargill Sea Salt Extra Coarse Topping - 50 lb. 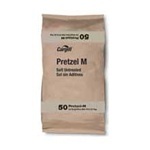 Pretzel M Salt - 25 Lb. Buy wholesale Salt for your restaurant and food service cooking needs in bulk. No restaurant kitchen can operate without salt.